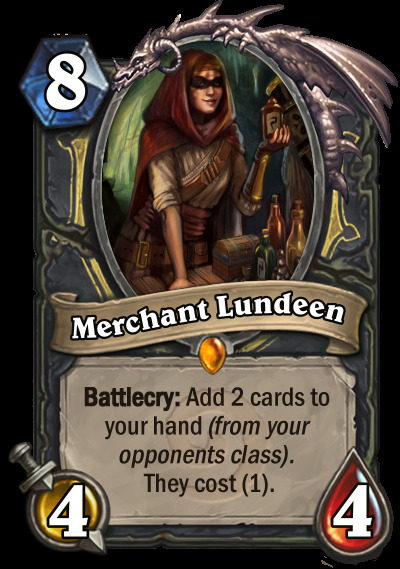 My other version of Merchant Lundeen saw it as a 8 mana 2/4 that filled your hand with random cards (from your opponents class) and they would cost (1). But I found that it was too strong compared to Rhok'delar and Nefarian. It is just really hard to balance a card in such a way since the value you get could be high or low. Yeah I was pretty much comparing it to Nefarian, who saw very fringe play, pretty much close to none. I think that the whole idea of setting the cost to 1 is pretty risky as obviously stuff could easily get out of hand. 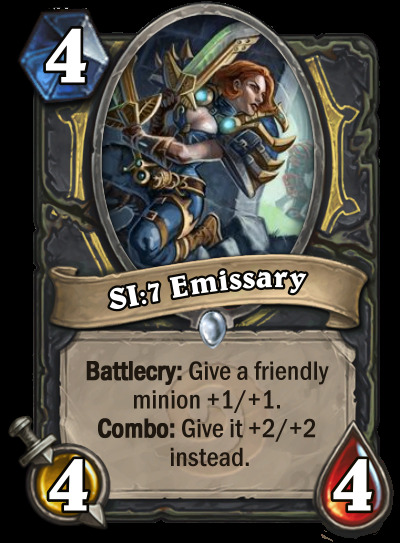 I really like the SI:7 Emissary, would be a really strong card in Arena and definitelly would see play in Tempo Rogue. Really nice creations! Are the artwork from you too? They're beautiful! I wish i would be able to make art like this. No i'm purely focussing on the design and balance aspects of cards. 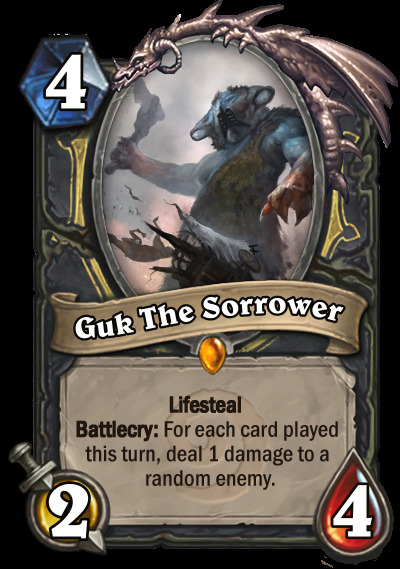 Sometimes I take a piece of art and try to tell a story with it wich I can then turn into a card or something, altough it would be my dream to design cards for Hearthstone. 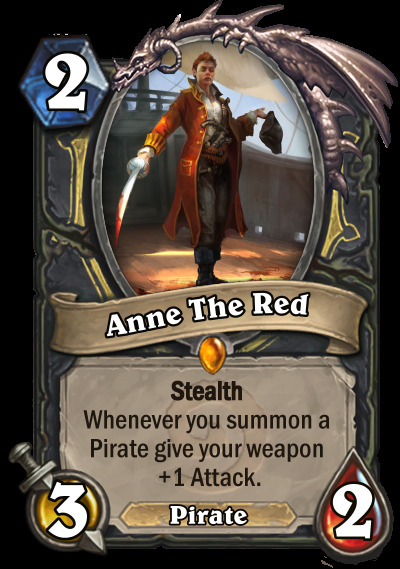 Bringing back Patches the Pirate PTSD. 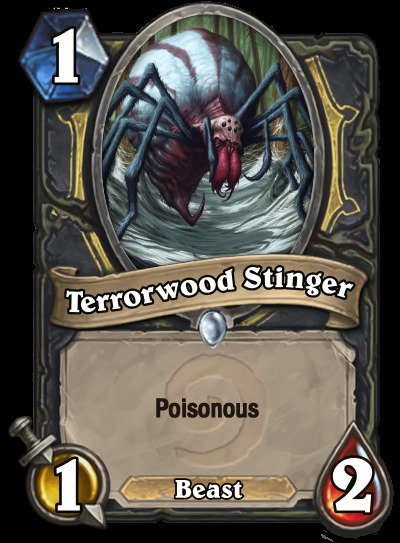 I hope Terrorwood Stinger isn’t a real card ( since the same already exists for two mana) , wich actually shows that the Drider is a bit too weak. The Saboteur on The other hand seems to be a bit too strong , it’s a decent body with a really huge upside. I’d make him a 3/1, 2/2 or 3 mana. It's meant to be collectible since it's common. Also, it's perfectly balanced. It's just a Pit Snake with swapped stats. 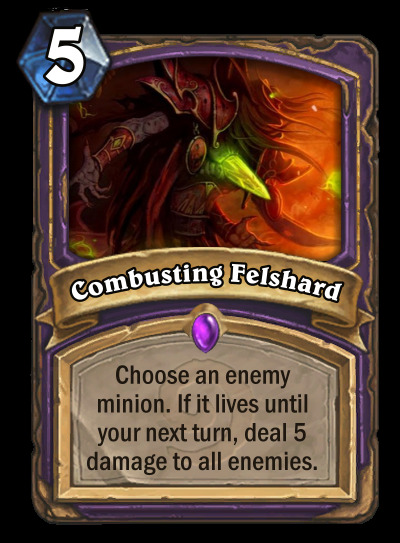 By the way, Combusting Felshard kinda exists already and is called Living Bomb. You have some really cool ideas for cards! No, it’s not perfectly balanced. 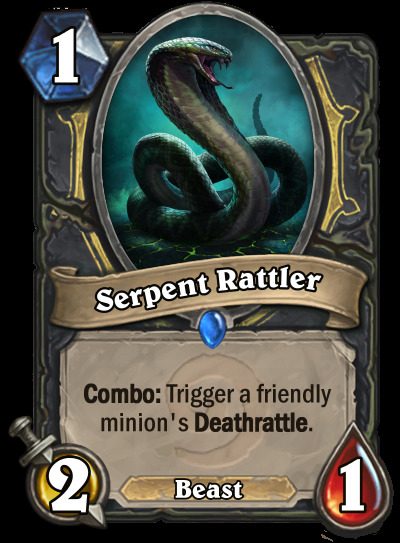 A one mana, 2 hp poisonous minion would be an extreme powercreep over pitsnake . It could take out any other 1/3 one drop and still be around. Yes it would die to a Divineshield 1/1 or two 1/1s( lost in the jungle) , but having poisonous is huge and usually has statewise some significant downsides. 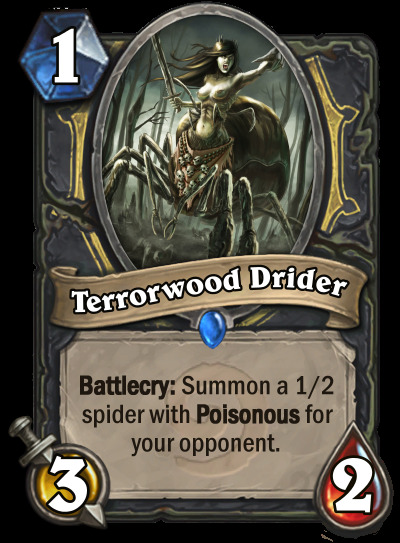 I don't know if you read the card carefully or if I give it common by mistake (Malfurion the Pestilent also has common tokens wich are non collectible), but the Terrorwood Drider is meant to give your opponent the Terrorwood Stinger something like Gravelsnout Knight. Yes it is actually related to Living Bomb, a bit more fair to make it a card for standard. 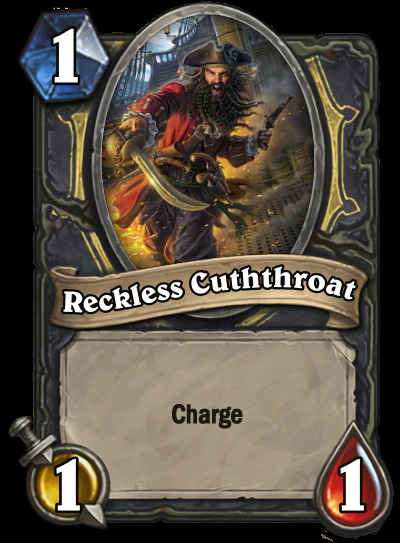 And Living Bomb is a tavern brawl card. Edit* You have 2 versions of living bomb. I don’t know if you read the conversation with Nioin carefully, but there I said i hope that The Stinger wouldn’t be a real playable card, basically just the token from the Drider. (NIOIN tought it was a collectible card, NOT ME!) . Also i already added that Terrorwood Drider , basically is like a worse Gravelsnout Knight. Worse stats and you give your opponent a infinite attack( kinda) 2 hp minion . 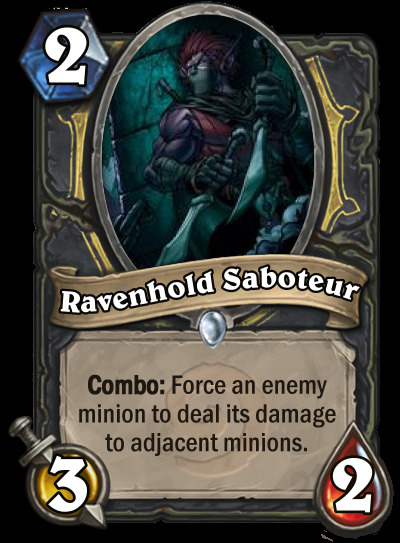 Yes there is some betrayal potential, but not sure if you can play cards like that in Rouge ( probably they would need some more support). I don’t know if you read the conversation with Nioin carefully, but there I said i hope that The Stinger wouldn’t be a real playable card, basically just the token from the Drider. (Nioin thought it was a collectible card) . Backstab. But I think you are right that the card is slightly underpowered. 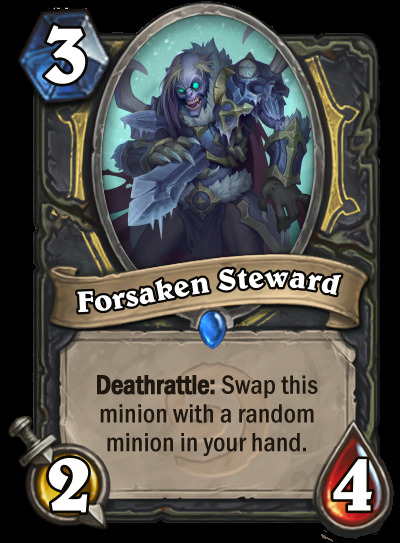 As a 3/3 it would be insanely broken though. Sry, my bad. Some tokens are collectible, like Goblin Bomb, so I thought it's a collectible token. Great cards , although Chained Drake seems a bit weak. We had a neutral Dragon with the same stats ( if u achieved the condition). As a 3/7 it would be weird, but ok i guess. Maybe 3/6 is good enough. The Priest Legendary is awesome. Generally I would feel a little scared because Priest can use heal offensively aswell, but in a Highlander deck it should be save. Alena, Raid Healer - 7.5/10. A cool Highlander design that works in many interesting ways. 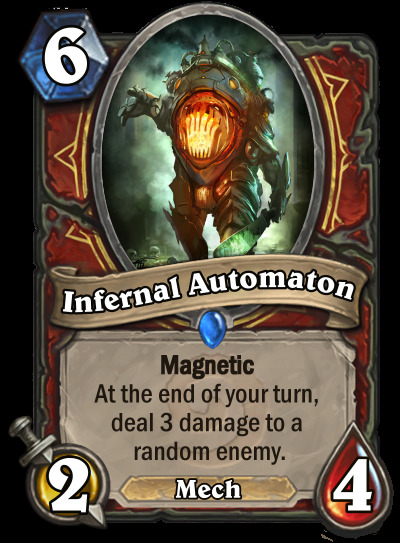 Combine this with "Healing to Damage" effects and you can see some pretty unique interactions with this card. 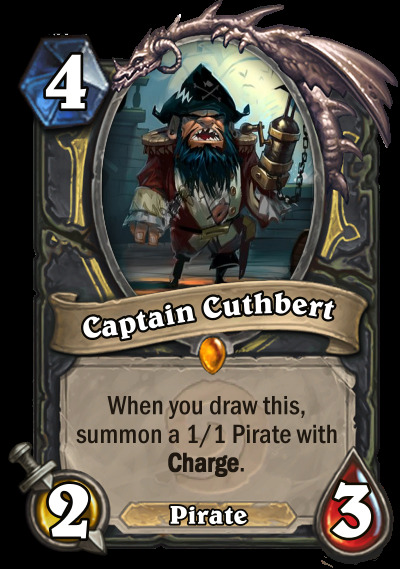 I could see this card being put into Hearthstone as is and being fine really unless there are some weird exploitable situations, which is possible. 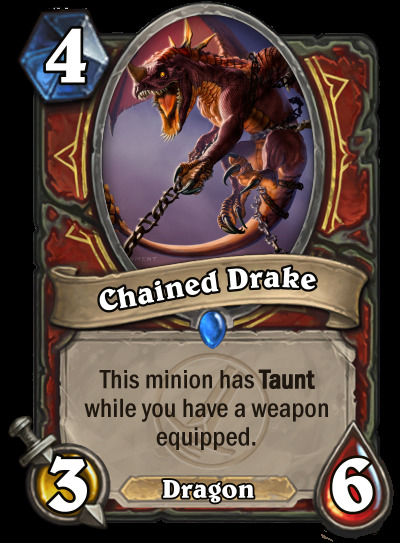 Chained Drake - 5/10. Good effect, fairly balanced, but honestly weak statted. 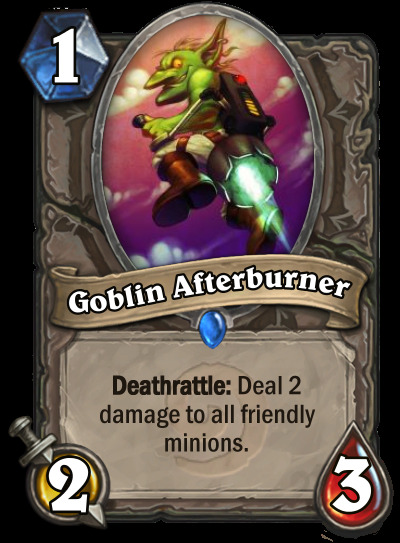 Like Wingdude22 said, there are already neutral cards that are better than this, I'd up the stats on it to either 4/6, 3/7 or even 3/8 to make it competitive in the meta. 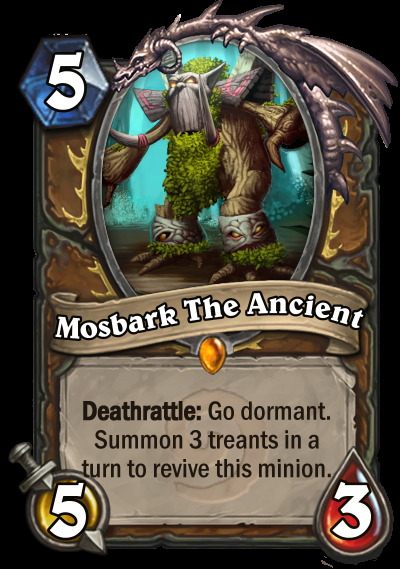 I like the idea of it having temporary taunt and taunt that's very controllable by both the opponent and owner. Only rated a 5 because of the weak stats. Banish - 4/10. 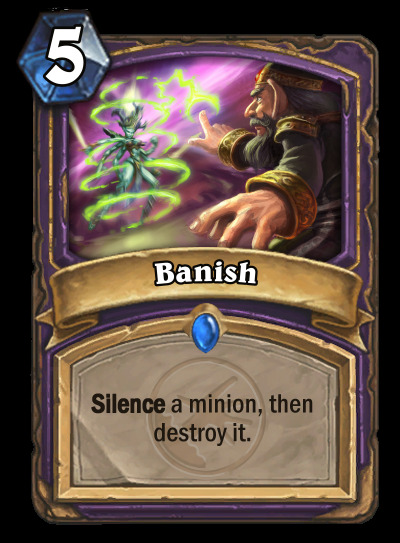 I'm torn on how I feel about this card, it's obviously a great effect, but design wise I've seen plenty of "silence then kill" cards. 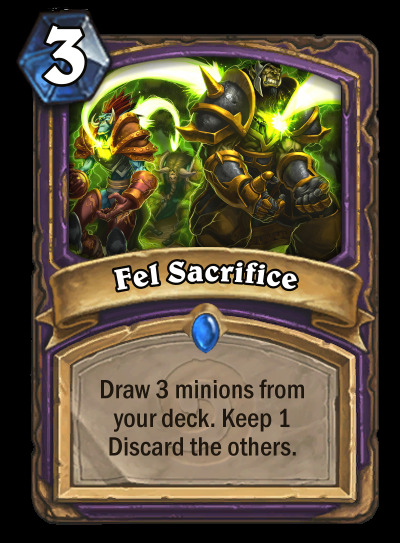 The theme behind this one is fairly weak, and beyond the demon link, I fail to see how it fits into Warlock. 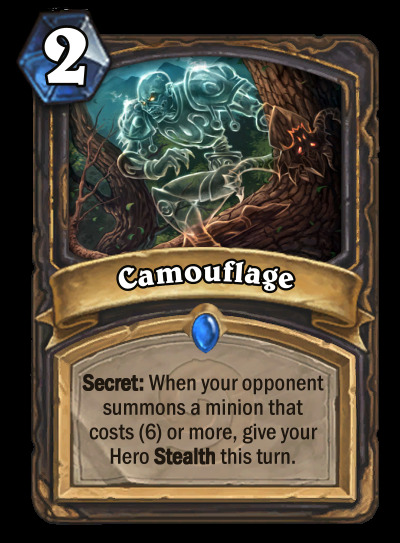 I would like to see a variation of this on a much cheaper card that only targets demons, like maybe a 3 cost card. 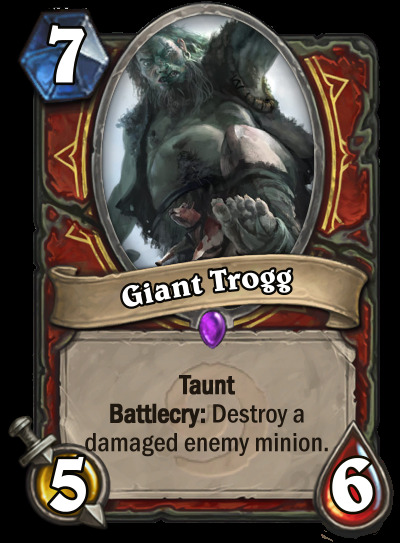 I also don't like the power-creep and would like to see this card's cost get upped to 6 mana. * I tried to give the minion somewhat of a vanilla statline because it has to be on par with the existing dragon that went to wild Twilight Guardian altough I think that this dragon is more flexible. Twilight Guardian was a very highly rated card because it was great in Dragon Priest, but since this card is bound to the warrior class I think it is balanced as it is (same as Ironwood Golem) and would make a great card for when Tar Creeper would rotate out. 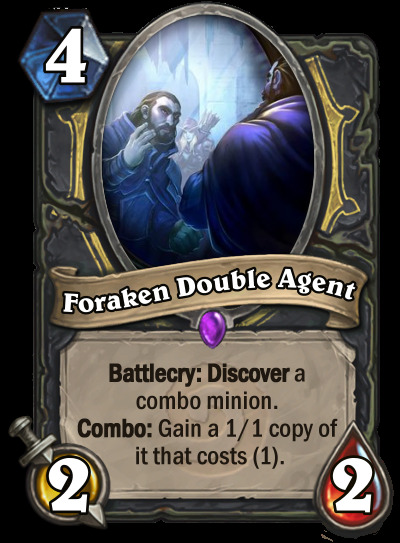 * You can't compare Banish to Assassinate because they are both class cards from a different class, Rogue already has great cheap removals whilst Warlock has expensive removals. The question you want to ask yourself is: If your opponent drops a The Lich King on turn 8 would you rather Siphon Soul or Banish? And if your opponent drops Sylvanas Windrunner on turn 6 would you rather Siphon Soul or Banish? 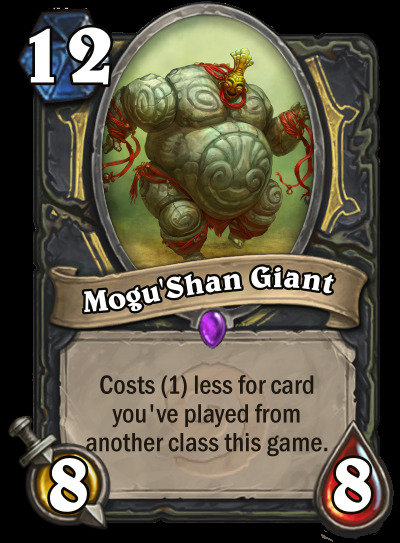 The only reason I made it cheap as 5 mana is because every class has some kind of removal that goes around 5/6 mana but some are better some are worse. Thats why I think that banish is balanced enough at 5 mana. 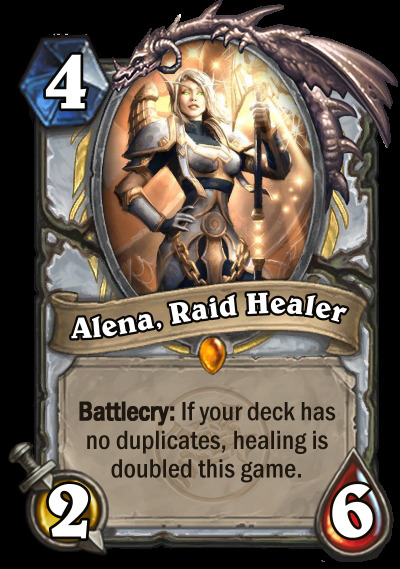 * Alena, Raid Healer is probably my best card of the bunch I really had problems coming up with this card, I just found the art typed the text and was like "Yes this is good, I like it". wich I haven't had with many of my cards.